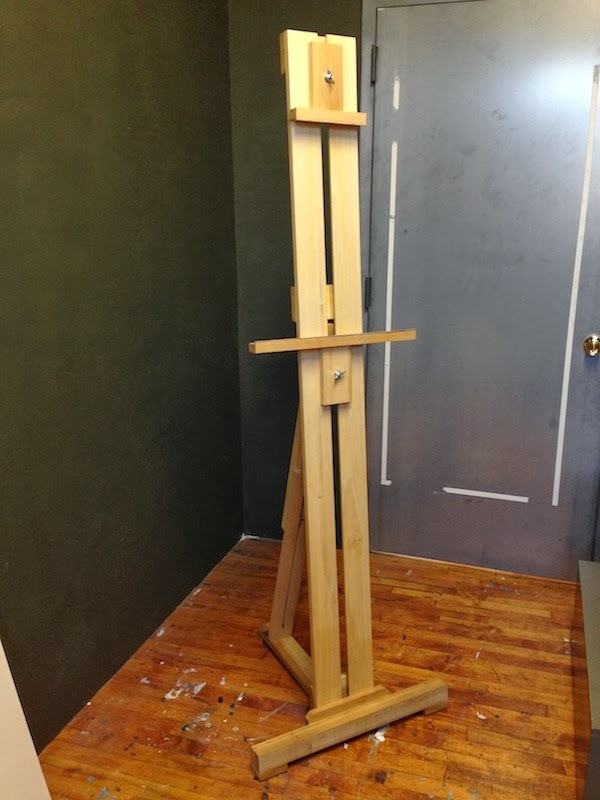 I recently finished making a new model easel, based on the easel design used in the Art Student's League of New York. That easel is based on an even earlier design, which as far as I know is not sold commercially. 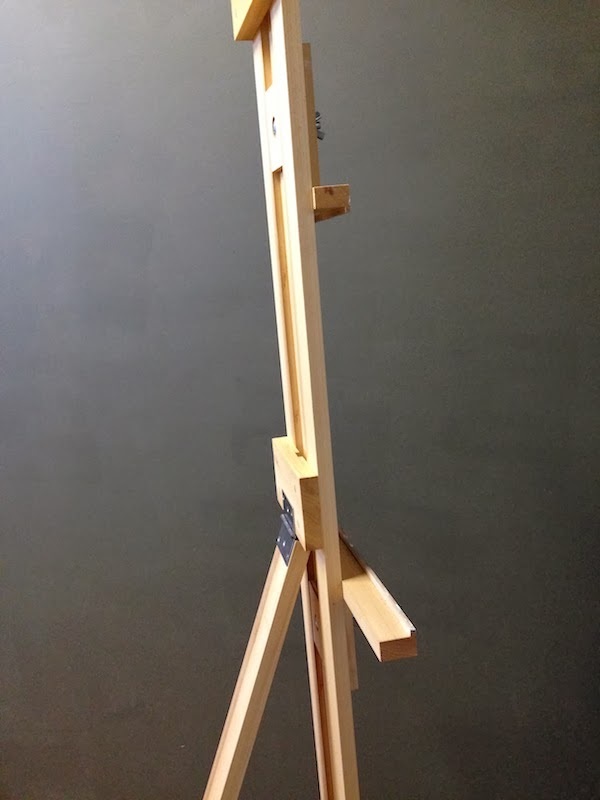 This easel is similar to a traditional tripod easel with 2 sliding adjustable clamps, with a few differences. 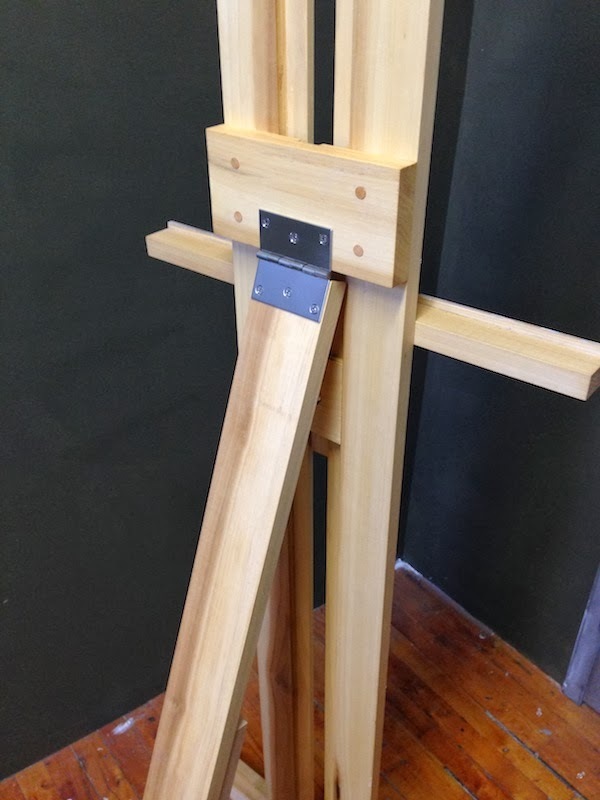 I built the easel entirely out of poplar. The main "spine" of the easel consists of two long parallel boards, joined together at various points on the backside. 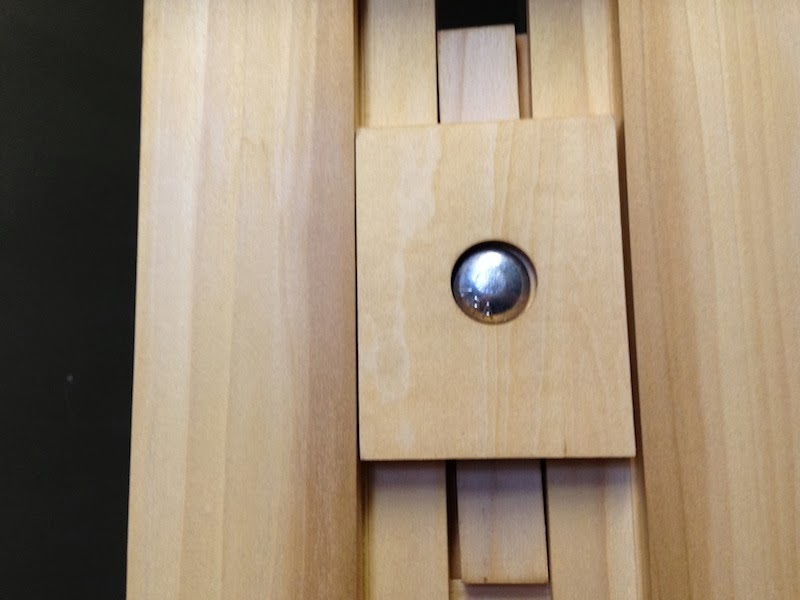 The back side of the easel has a hinge which allows the rear strut to slide up and down, adjusting the relative angle of the face of the easel. Part of the base also hinges, allowing more adjustment. 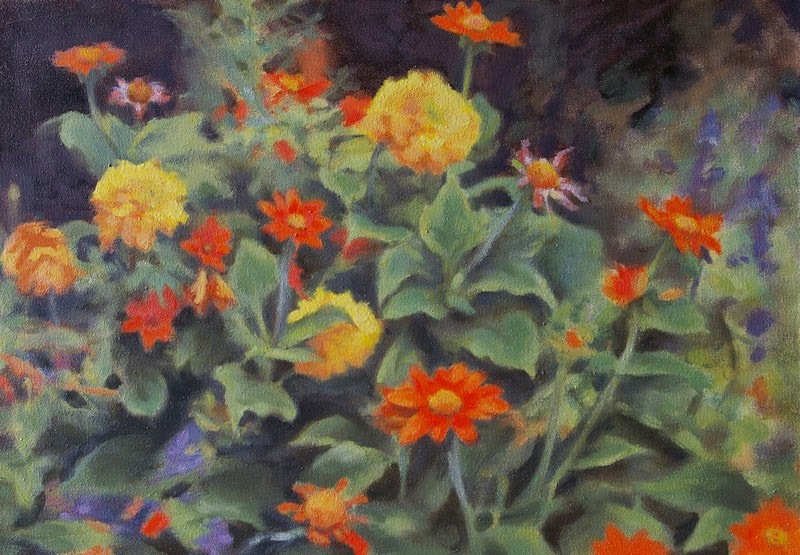 It can even be folded inwards, allowing the easel to fold together and take up less space. 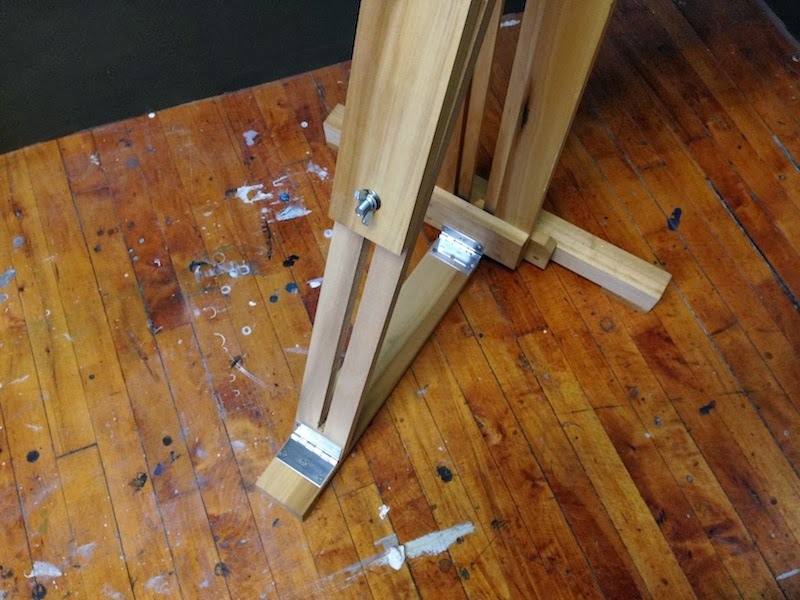 The back of the "spine" of the easel has a channel cut into it. A small flat piece slides along the channel, connected via bolt on the other side to the clamp. The clamp can slide up and down along this track. Tightening the bolt at the front then locks all the pieces together and the clamp stays in place. Hard to describe, but its very simple. This is the best easel that I've had the experience of using so far. Its lightweight, compact, adjustable, and even foldable.